Choose single path for inflating both sides of the vehicle simultaneously, and dual path for inflating each side separately. 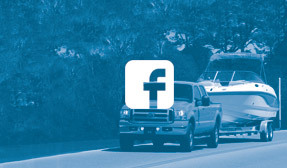 Have a trailer that squats the back end of your vehicle? Air springs with a single path compressor system may be a good solution. Single path air compressor systems are routed together and inflate or deflate two or more air springs at the same rate at the same time. This means your air springs will always be set to the same pressure. Single path air compressor systems provide evenly distributed pressure to all air springs and are particularly good for loads that are evenly distributed from left-to-right or front-to-back. With the push of a button, a single path compressor system could raise the pressure in both air springs simultaneously, lifting the squat from your vehicle. 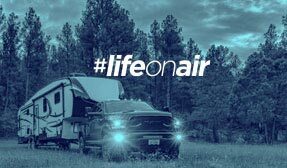 What if you have a pickup camper? The uneven, top-heavy weight can make for dangerous travel. Air springs with a dual path compressor system may be your best bet for this suspension problem. Dual path air compressor systems can inflate or deflate each of your air springs independently. This means your air springs can be set to different pressures depending on your needs. You can either control two air springs independently (for side-to-side leveling) or you can split the line to control a full set of four air springs, two at a time (side-to-side or front-to-rear). Dual path air compressor systems are perfect for uneven or top-heavy loads. Single path and dual path air compressor systems are available in analog and wireless styles. Both systems are also sold with standard or heavy duty compressor systems. Both single and dual path air compressor systems can be installed by the vehicle owner in a few hours or one of many dealers who are experienced in these installations. 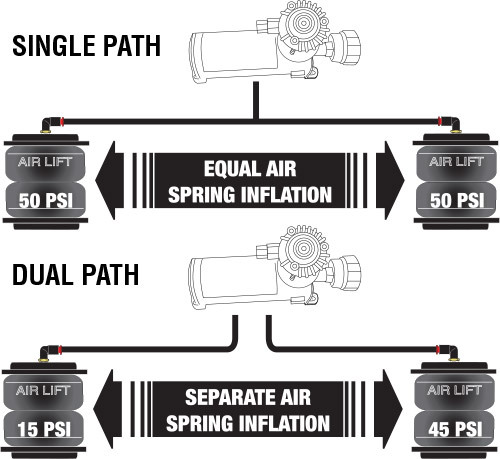 See Air Lift’s single path and dual path on-board air compressor systems.